Sometime last year, I remember watching a video of Barack Obama addressing his campaign staff in Chicago. The talk took place after Obama had won the Democratic primary. It was a pep talk, and the theme was, “Now it’s really serious, we have to win.” One thing Obama said stood out. He said that if John McCain won, none of the important issues facing the country would be solved, and he singled out climate change. 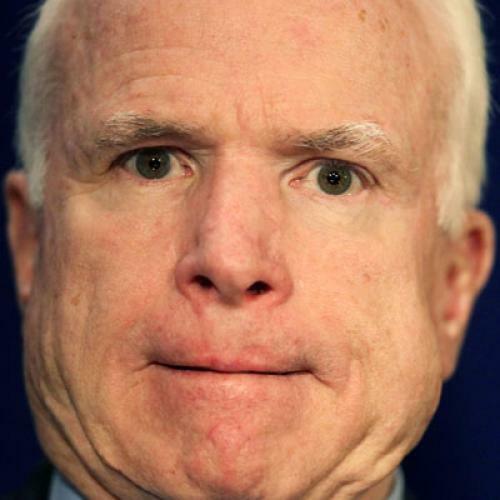 I don’t care what McCain promises, Obama told his staff, if he wins, he’s not going to do anything about it. McCain has emerged as a vocal opponent of the climate bill — a major reversal for the self-proclaimed maverick who once made defying his party on global warming a signature issue of his career. Now the Arizona Republican is more likely to repeat GOP talking points on cap and trade than to help usher the bill through the thorny politics of the Senate. Current and former aides suggest that staff changes since the campaign could also have something to do with the change in tone. Several of McCain’s longtime staffers, including top aide Mark Salter, left the office after the campaign. And Floyd DesChamps, a Commerce Committee aide who worked closely on the McCain-Lieberman climate bill, left Capitol Hill after McCain gave up his longtime seat on the committee last January. The staff that remains, say former aides, lacks the institutional history on the issue and the ability to steer McCain toward productive solutions. Another factor, not mentioned by Politico, is that McCain is facing a right-wing primary challenger who’s currently running a dead heat. Of course, if McCain had won the presidency, he’d also be surrounded by conservative aides--that’s just the intellectual infrastructure available to any Republican president. And he’d also have pressure from the right. All in all, it seems pretty clear that the remaining traces of the progressive McCain that emerged from 2000 through 2003 have finally been extinguished.